Today’s guest post is from Helen Hargreave of leading TEFL provider, i-to-i. Helen talks through the benefits of teaching abroad – how it can boost your CV, broaden your horizons and help you stand out in a crowded job market. Thinking about what to do after University? Job climate got you in a panic? Look no further than TEFL (Teaching English as a Foreign Language) – your ticket to instant employability. This is your chance to get ahead of the rat race, boost your CV, gain valuable working experience and travel – the people you meet, cultural immersion and the fun you have are a nice added bonus! If you can speak English you can teach English with no experience necessary, sound tempting? There are over 1 billion English language learners = the world needs TEFL teachers! If there was an opportunity for the taking, this is the one. You’ve got a degree, so why do you need a TEFL certificate too? In most countries a degree is needed for visa purposes but a TEFL qualification will provide you with all of the necessary training to make you a confident teacher. As the demand for English teachers has increased (especially in Asia) employers are also demanding the level of teaching experience and training that comes with a TEFL Certificate. Which TEFL course is for me? What age group do you want to teach? What kind of hours do you want to work? What kind of environment do you want to work in? How much teaching experience do you have? Asking yourself these questions will help you find that dream TEFL job! What happens when I am qualified? Armed with a degree and a TEFL certificate the world is your oyster! As soon as you’re qualified you can start applying for TEFL jobs all over the world and get paid. Japan, South Korea, Taiwan, Italy, Nicaragua…wherever takes your fancy! Explore typical TEFL jobs to discover where you could be and how much you could be earning! What do most TEFLers do? 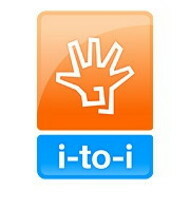 At i-to-i we find the most popular TEFL hotspot is China. Home to the Great Wall and Peking duck, China has an extremely high demand for TEFL teachers as many parents are now sending their children to learn English as young as two! With many employers offering free accommodation, airfare and food it’s no wonder that China is top of the destination charts. Many TEFLers use their new skills to make the most of learning about another culture. Most TEFL contracts are one year long and this might seem like a daunting prospect but there are endless positives to teaching for one year. It is a great opportunity to immerse yourself in another culture, perfect your teaching and get paid for it, get to know your students and more importantly see how YOU’VE impacted their lives – not only this but it demonstrates to future employers your dedication to a worthwhile cause. Working hours will vary from contract to contract/place to place etc. but on weekends and evenings TEFLers tend to make the most of their new surroundings! How can I take TEFL further? TEFL doesn’t have to end after a year. The beauty of TEFL is that it can act as your passport, allowing you to pick up teaching contracts in whichever country takes your fancy and turn TEFL into a long-term career. Tags: Employability, Finalists, Graduates. Bookmark the permalink.